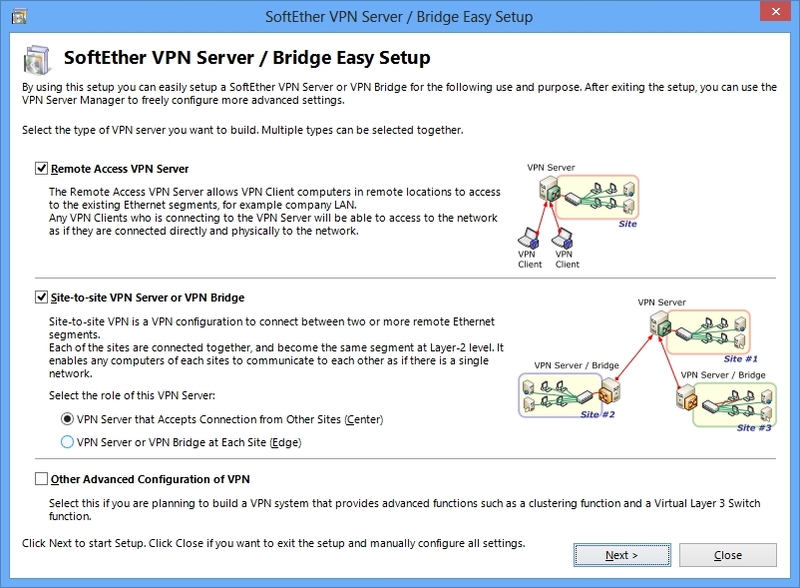 On each site SoftEther VPN can define a Virtual Hub, and connect between the Virtual Hub and the physical Ethernet segment with Local Bridge function. To exploit this mechanism you can bind two or more remote-distributed physical Ethernet segments to the single united Ethernet segment. It is something like a very-long distance Ethernet cable across the state. However building and keeping a distance Ethernet cable needs ultra-expensive initial and monthly costs. Unlike it, SoftEther VPN's virtual network cable needs no additional costs to the usual and cheap Internet connections to local ISPs on each branches. On the headquarters or the datacenter of your corporate network, set up SoftEther VPN Server as the central server of VPN. 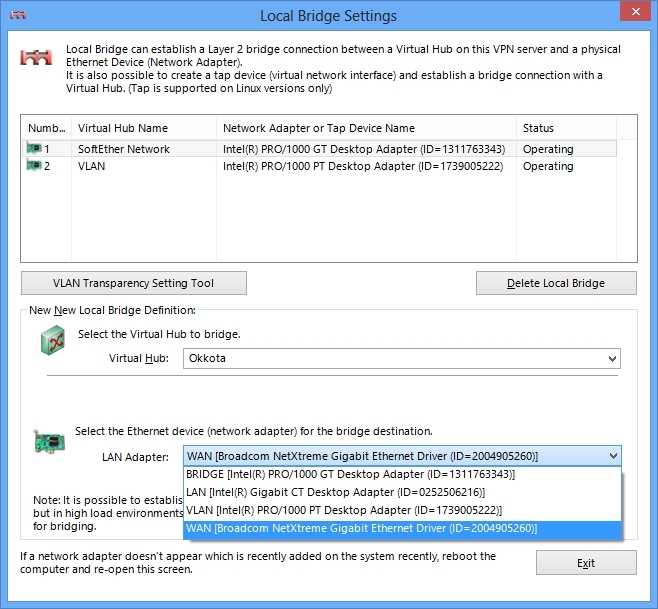 For security, the user authentication is required to ensure only authenticated VPN Bridge can connect to the central. 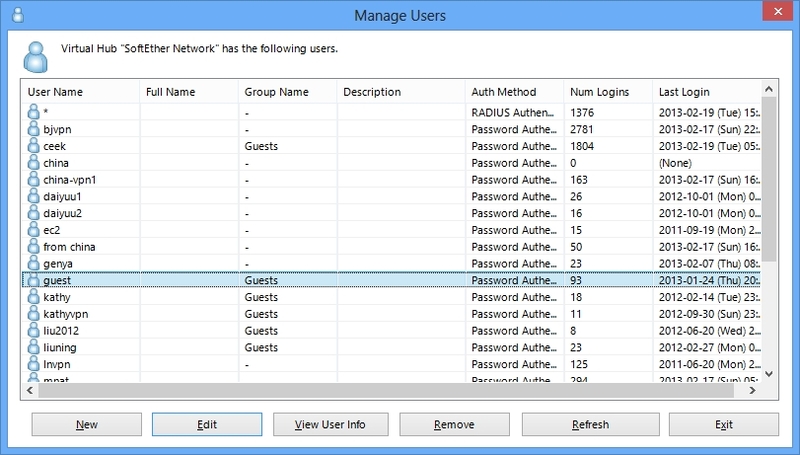 Add users for each branch on SoftEther VPN Server. 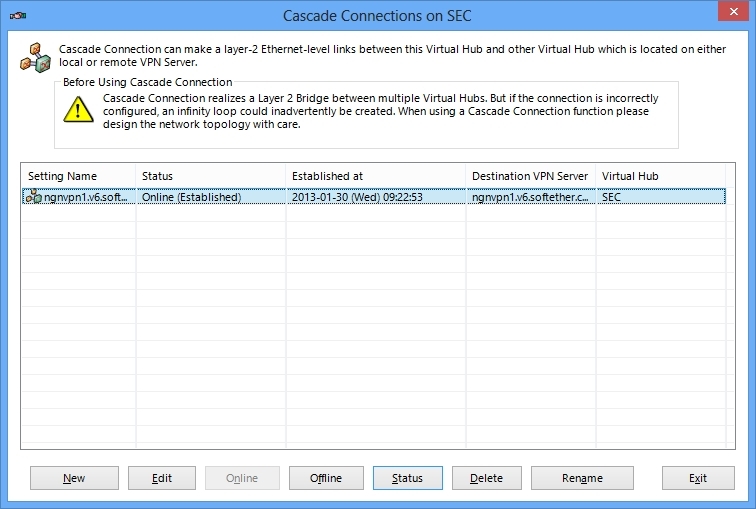 On every branch, set up SoftEther VPN Bridge and configure the VPN Bridge to keep a Cascade Connection to the central VPN Server. Congratulations! Each network segment which is originally isolated to other segments are now bound to the single Ethernet segment. Every servers, computers and Ethernet-based network devices such as printers, FAX, scanners and TV-conference systems are now able to communicate to each other without any protocol limitation. 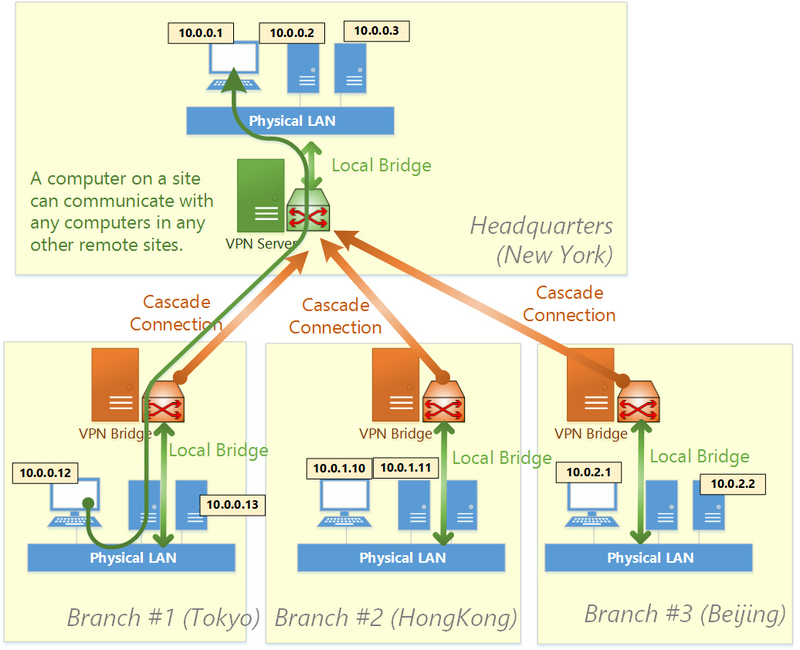 They are under the situation exactly same that every devices are connected to the single physical LAN.